Receive property alerts by email. Know when prices drop, new homes come on the market, etc. Search homes utilizing any criteria available from the MLS. How much is your home worth in today's market? Get our free comparative analysis. Finding the right home can be a difficult process. As an experienced REALTOR®, I can provide you with the resources you need to make the home buying process easy & stress-free. This ranges from specific neighborhood information, to tools to estimate your mortgage payments, to looking at properties for sale in the greater Iowa City area, to buyer resources and articles that will help you through the home buying process. Whatever your timeline and criteria may be, I can help you buy a house and strive to make it a simple process! No matter which market you're in, you can use the marketing programs and experience of qualified real estate agents like me to help sell your home quickly and at the right price. Learn more about our services, see information about recent home sales in Iowa City & the surrounding areas (anywhere from Coralville to North Liberty to Riverside and Kalona), or contact me to get started today! Not ready to sell, but want to know how much your home is worth? Give me a call! 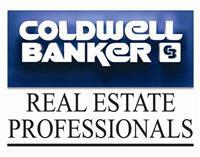 Feel free to get in touch if you have any questions about the real estate market or buying and/or selling a home. Whether you're a first time homebuyer, interested in new construction/building your own home, listing your house for sale, or just curious about the overall process, I would love to hear from you!